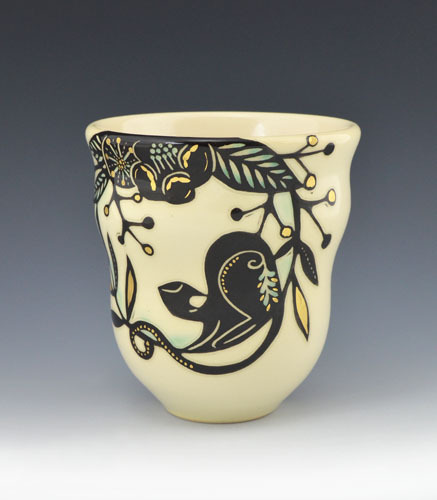 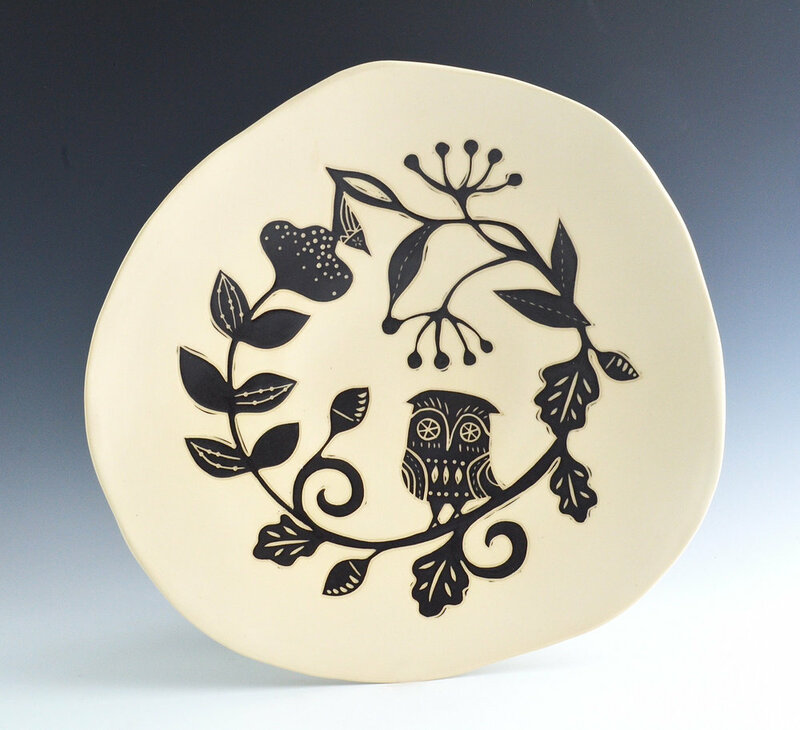 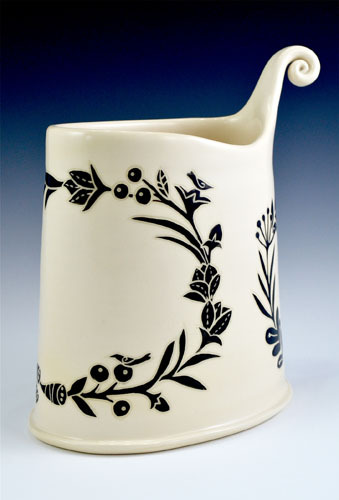 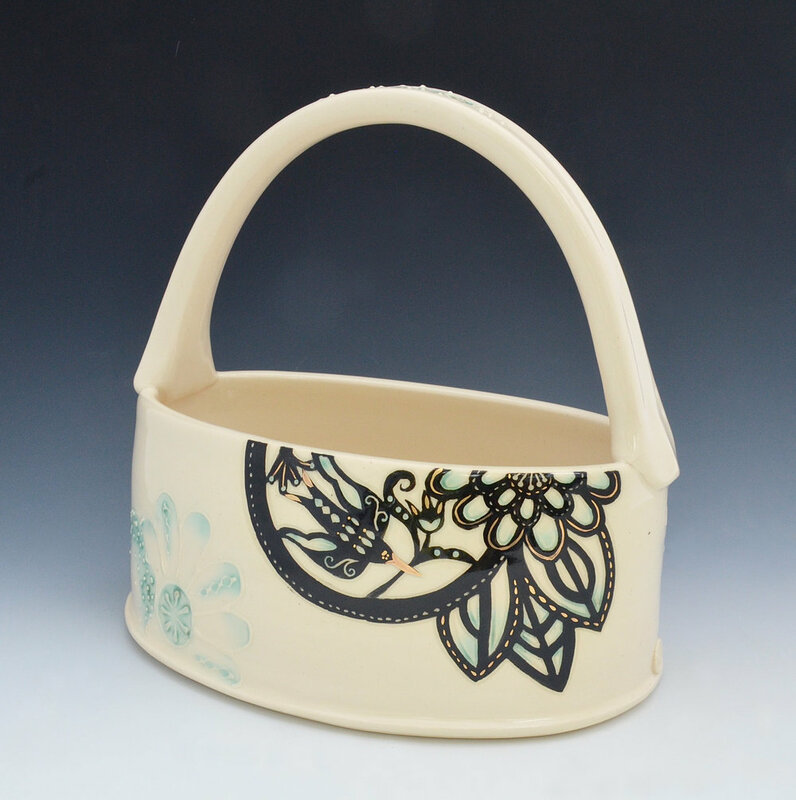 White stoneware with free-hand painted black slip and sgraffito decoration. 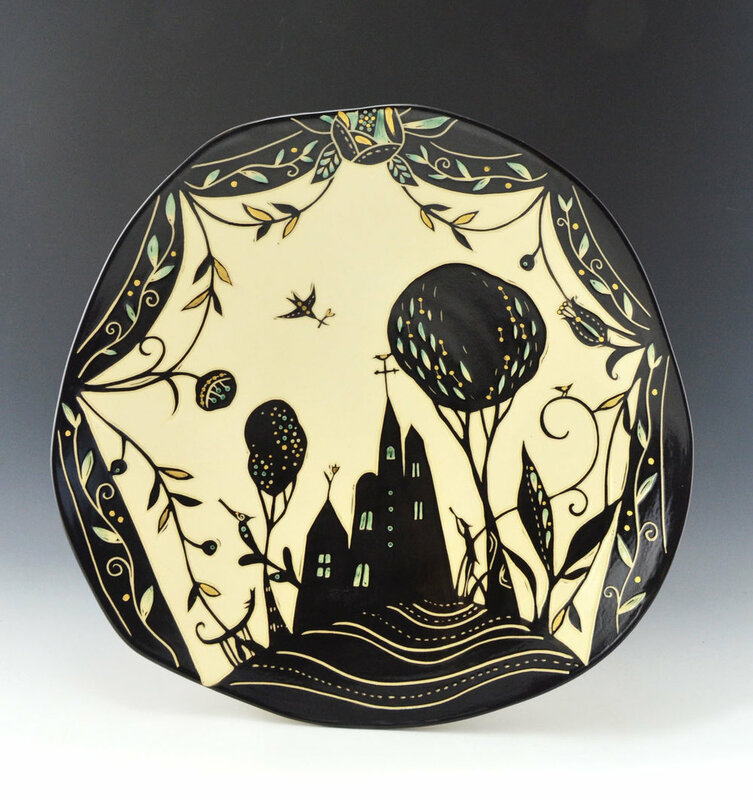 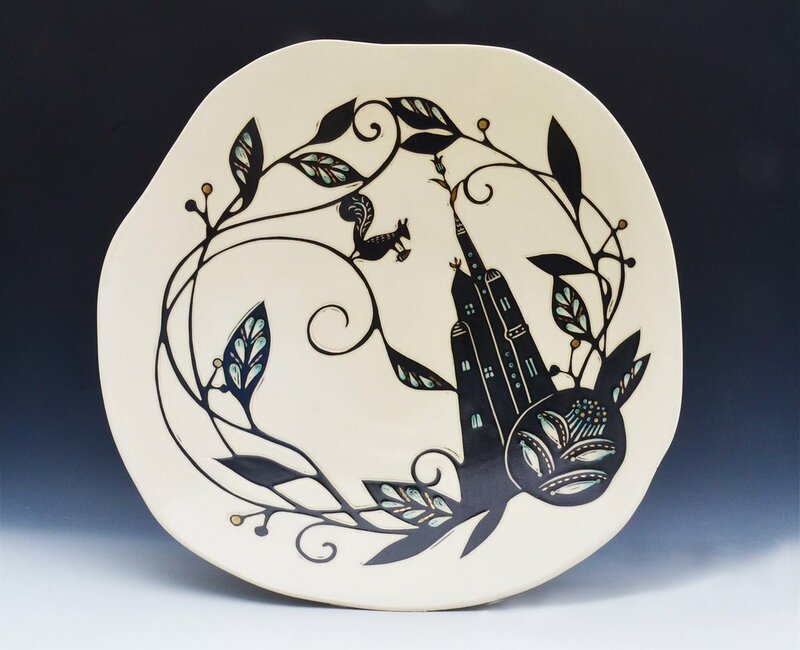 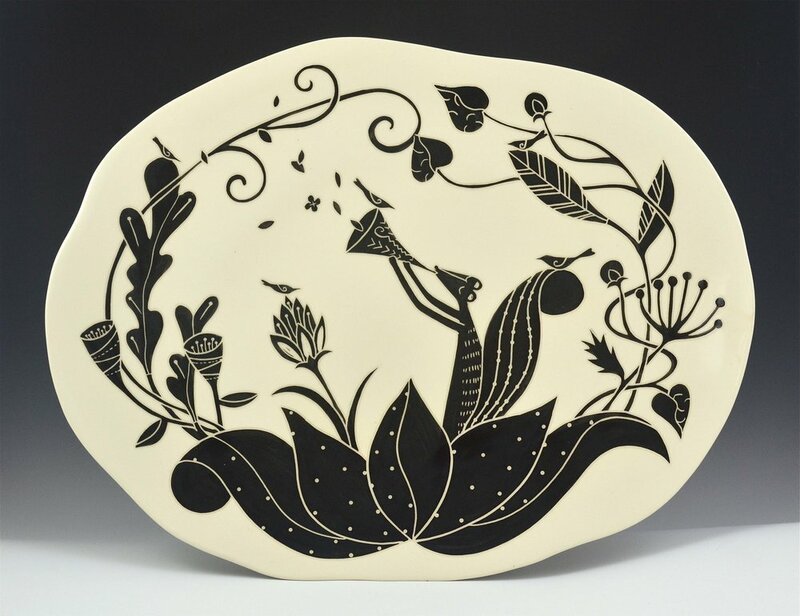 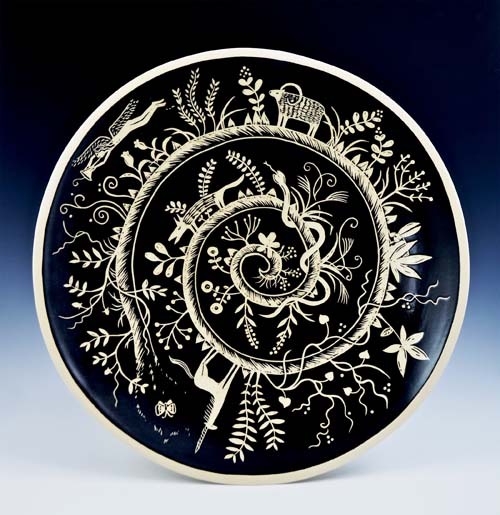 Sgraffito is the technique of scratching the underglaze layer away to reveal the clay below it which creates crisp images and a slight texture to the surface. 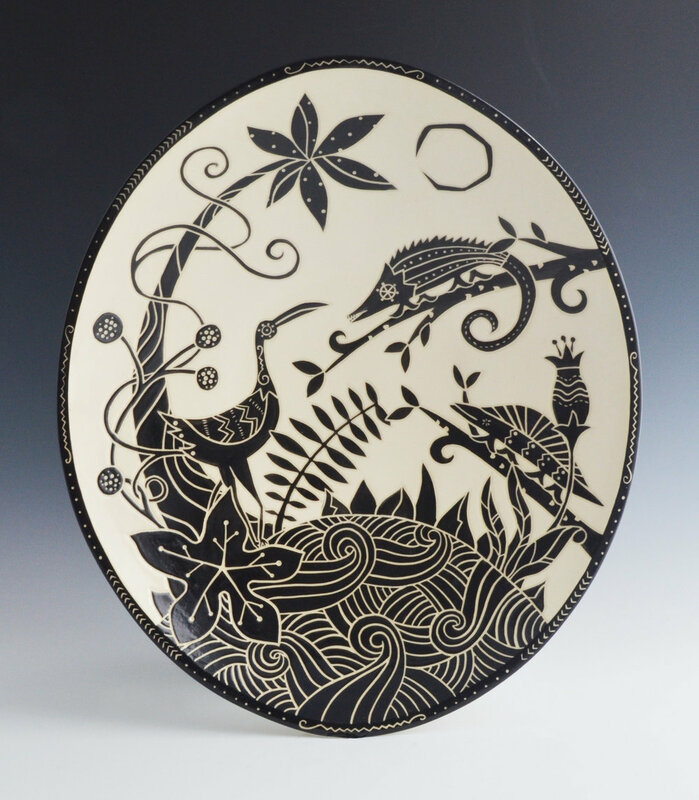 "Yaoyorozu no kami" - or literally "god in eight million things" - is the ancient Japanese belief that all beings and objects have a spirit and divinity within. 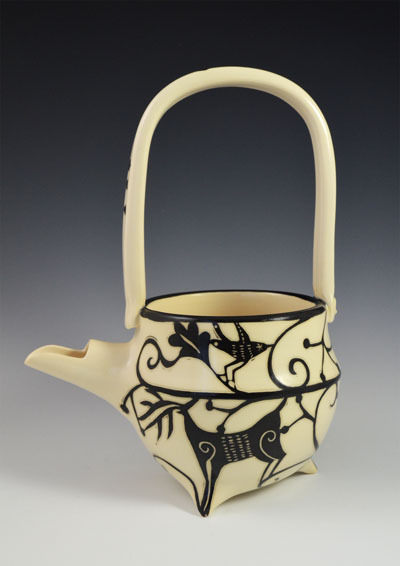 Born and raised in Japan, my aesthetic sensibility was largely influenced by the traditional art and crafted items that reflect this philosophy. 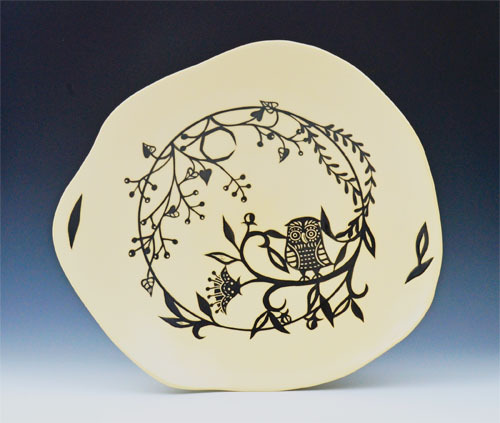 With my pottery I use black slip on white stoneware to draw my own "yaoyorozu no kami." 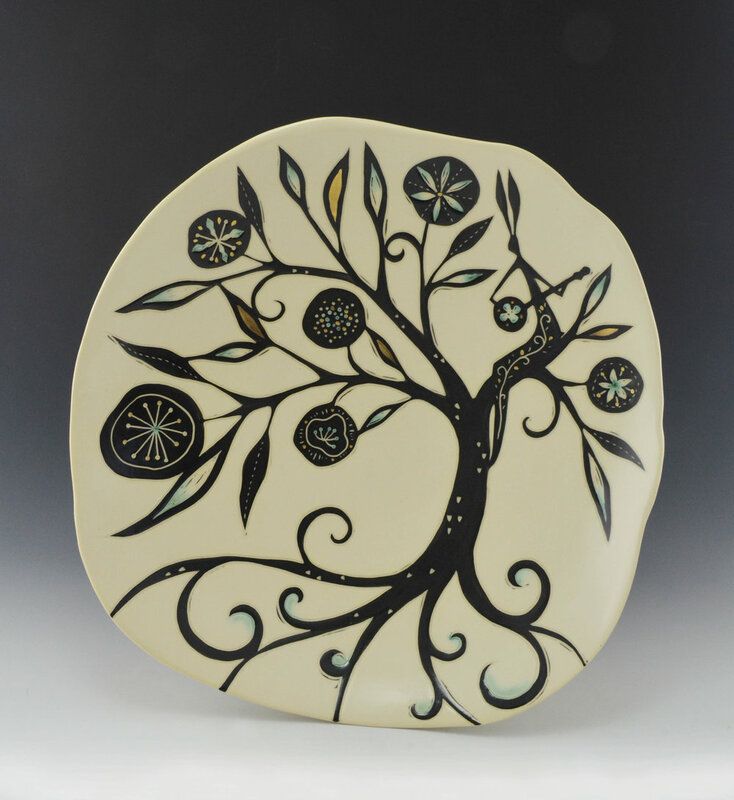 My work is the result of these "moments of bliss" while working with the clay and expresses my belief in the connectedness of all beings and appreciation for our surroundings, which make us what we are.